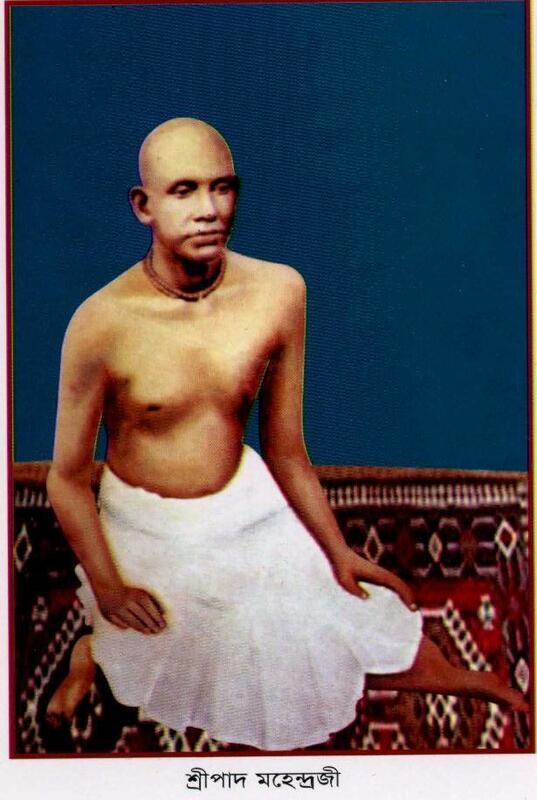 Sripad Mahendraji was born in 1888 on the day of Sukla Trayodashi in the Bengali month of Jaistha (May-June) and left this mortal world and entered Nityalila in heaven on February 6, 1943 on the day of Nityananda Trayodashi in the Bengali month of Magh (January-February). 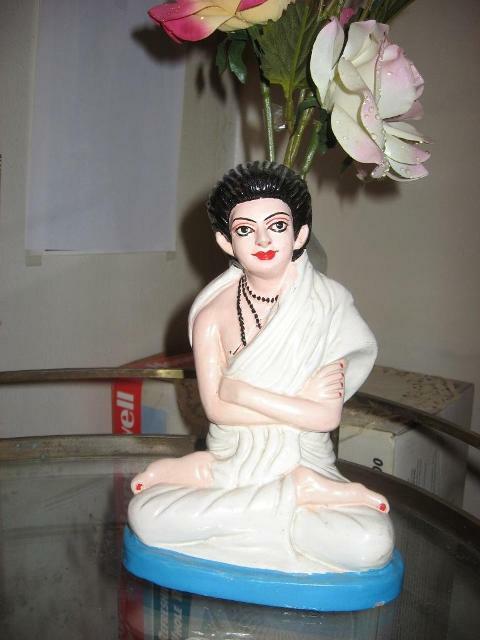 This Mahanam Sampraday Center is the Ashram-Temple that bears the combined name of SriPad Mahendraji and Bandhusundar, established by Mahendraji himself. 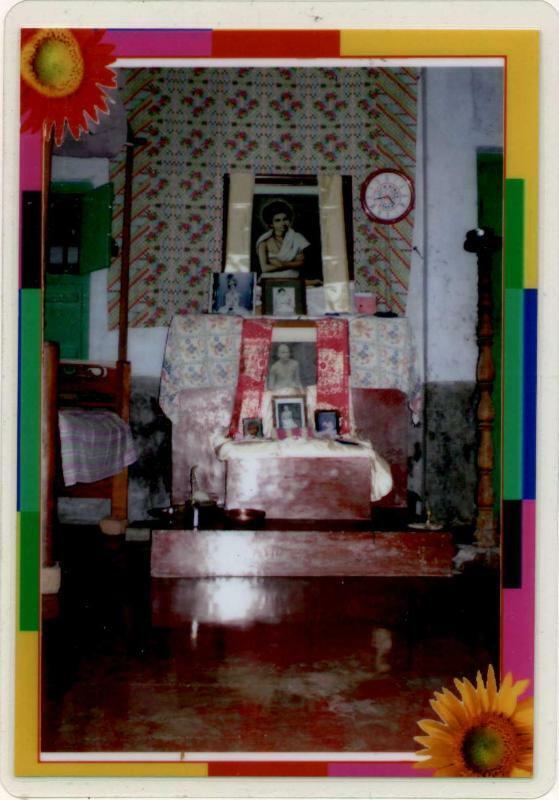 This Ashram-Temple in Bangladesh for Prabhu Jagadbandhusundar is the closest to Kolkata and located within 67 km (Benapole, Jessore to Jessore City = 35 km and from Jessore to Narail = 32 km) from the West Bengal border city of Petrapole (Benapole is the name of the Bangladesh border city in Jessore as one enters Bangladesh from the Petrapole border in West Bengal, India). The entire route is on land and no river lies on the way. 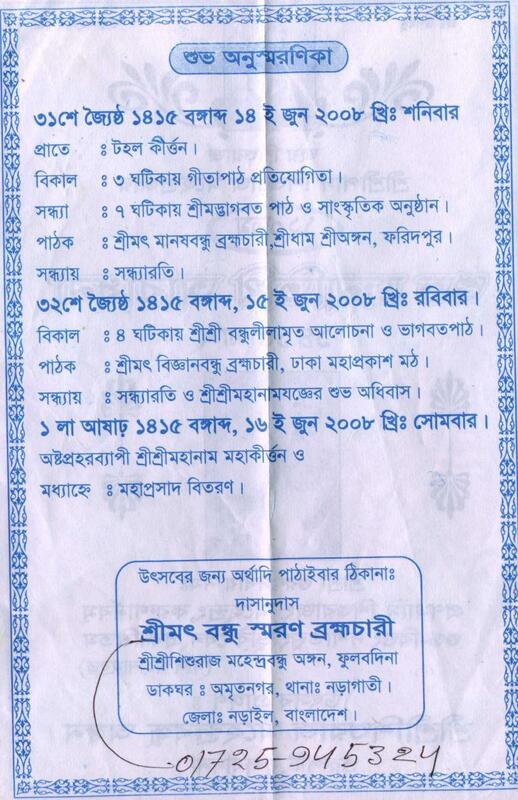 However, to visit SriAngan Temple in Faridpur from Narail, Phulbadina MahendraBandhu Angan, one has to cross the river Madhumati by motor operated or manually plied boat and from Faridpur SriAngan Temple to Dhaka Mahaprakash Math, the river Padma is to be crossed by a steamer with the transporting bus on it. [Click here] and scroll down to the section "By bus" and then "To/from Bangladesh" sub-heading. To/from Bangladesh There are numerous bus options between Kolkata and Bangladesh. The most common way is the regular comfortable a/c buses from Dhaka to Kolkata via the Haridaspur / Benapole border post. Private bus companies Shohagh, Green Line, Shyamoli and others operate daily bus services on this route. Govt. buses run under the label of the state owned West Bengal Surface Transport Service Corporation (WBSTSC) and the Bangladesh Road Transport Corporation (BRTC). WBSTSC and BRTC both operate buses from Kolkata every Tuesday, Thursday, and Saturday at 5:30AM and 8:30AM, and 12:30PM while from Dhaka they leave on Monday, Wednesday, and Friday at 7:00AM and 7:30AM. The normal journey time is around 12 hours with a one-way fare of Rs550 or BDT600-800, roughly $8-12. If you're only headed to Haridaspur the fare is Rs 86/- (2.5 hours - a distance of 90 km from Kolkata to Benapole). 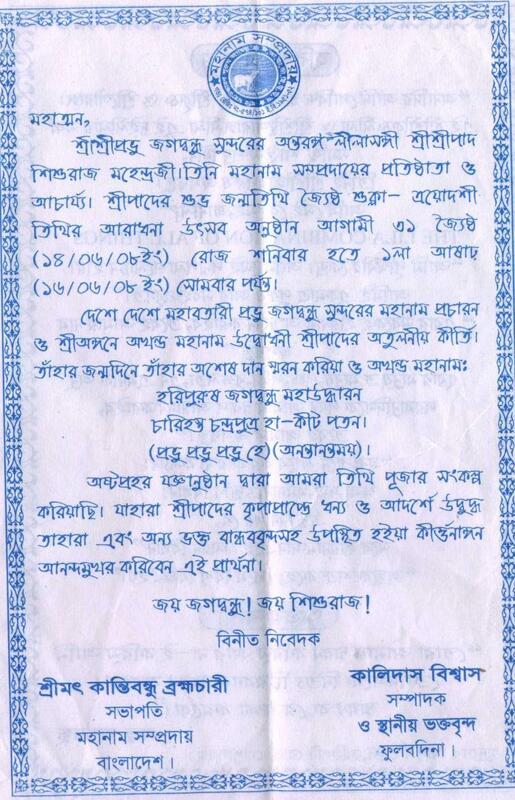 The Shyamoli Paribahan ticket office is at 6/1 Marquis St (parallel to and one block south of Sudder Street, and just west of Mirza Ghalib St, next door to DHL), 2252 0693. Beware that several travel agencies around this area also sell tickets for these buses, but at very inflated prices. At the border it's best to change money on the Indian side, but count it carefully and double-check the math on their calculator. On the Bangladesh side you can catch a flat-bed cycle-rickshaw for Tk5 for the 2km trip to the bus stand for onward travel - or you can walk, but expect the hopeful rickshaw-wallahs to follow you at least half way. 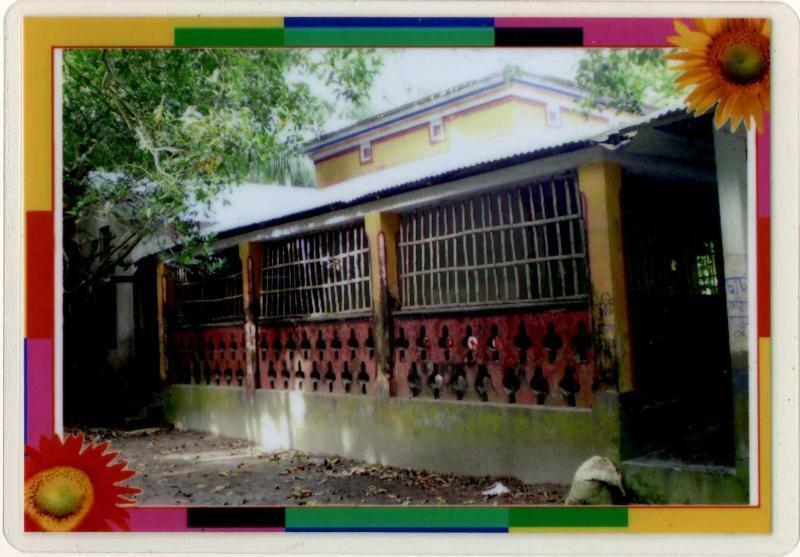 You may view the maps to go Narail Ashram-Temple by clicking on the following links below. 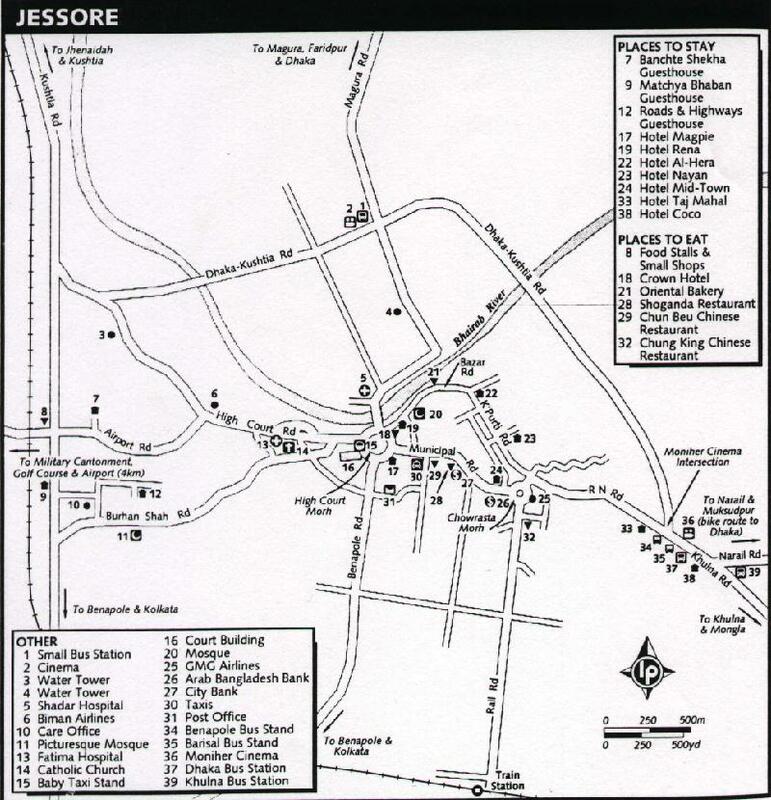 These maps are useful to look at the route to the Narail Mahanam Sampraday Ashram-Temple in Jessore from Kolkata-Benapole entrance to Bangladesh. The spot marked by number 36 in Map-1 (Moniher Cinema) highlights the way to Narail. Take bus from Faridpur near Faridpur SriAngan to Gopalganj (a bus ride of about 2 hours). Take a van to Chapail Ghat on the river Madhumati. Cross the river Madhumati in a motor operated boat. 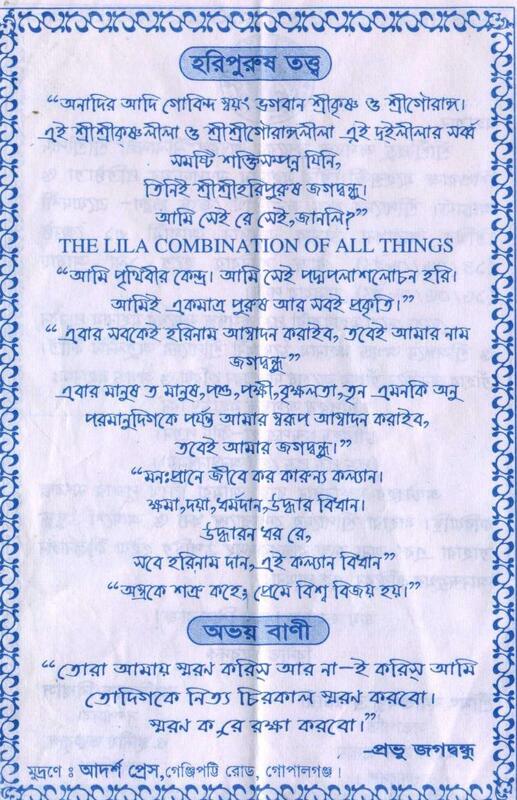 After landing on the other side of Madhumati river, take another van (preferably run by a nachhiman engine). The van takes about 40 minutes to reach Phulbadina Mahendra Bandhu Angan on an asphalt paved road. 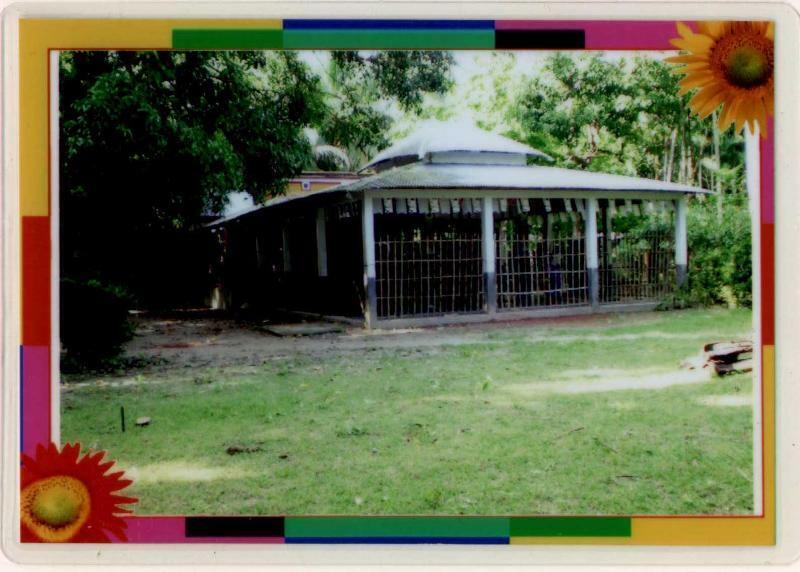 There is no electricity at Phulbadina Mahendra Bandhu Angan which Comprises of a temple (with a portico), a residence from brahmachiris/guests and a temple for offering Prasad (Bhog). The main temple, portico, residence and prasad temple that all turned dilapidated over time and need immediate repair and facelift. But the absolute rural milieu around the temple in a forest-like area is indeed fascinating and vividly depicts the pervasive holiness of Phulbadina Mahendra Bandhu Angan to any visitor whether a devotee or not. 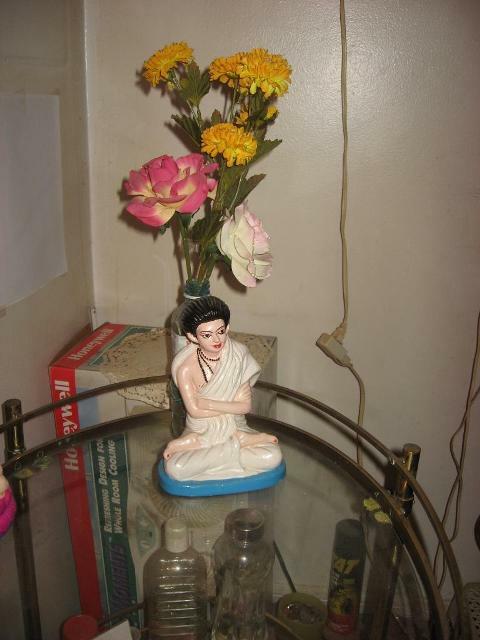 It is like a Tapovan (forest of spiritual practice) in its truest sense! Amidst the ambience of this holy atmosphere spanning the temple premises and the surroung quaint neighborhood, an attendee to the temple's morning and evening arati and vesper services with lamplights will hear the chirping and singing birds on trees and bushes while the chanting of the names of Prabhusundar accompanied by kirtans with the playing of khol/mridanga and cymbals in a mesmerizingly celestial time span! 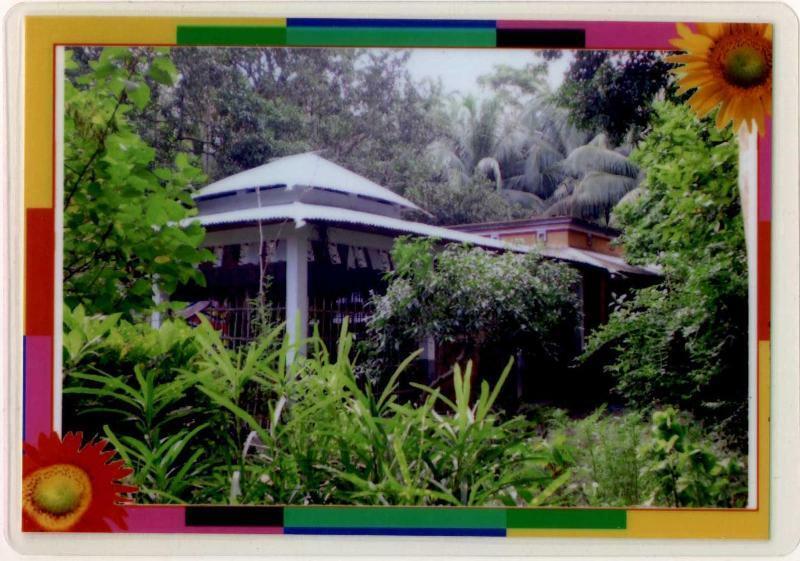 Click here for an extensive Picture Tour as of February 6-7, 2009, encircling Phulbadina SriSri Shishuraj Mahendra Bandhu Angan premises, and the village of Narail, Jessore, including pictures of the Famous Madhumati River. These pictures can be viewed in bigger sizes by single/double clicking (as the case may be) the individual pictures and are freely downloadable. With high-speed connections, you may view a slide show of all the 77 pictures in a relaxing mood with optimum picture sizes on the screen by clicking on the Google [Slideshow] tab. 2. Entrance of Sishuraj SriPad Mahendraji to Nityalila - Nityananda Trayodashi. 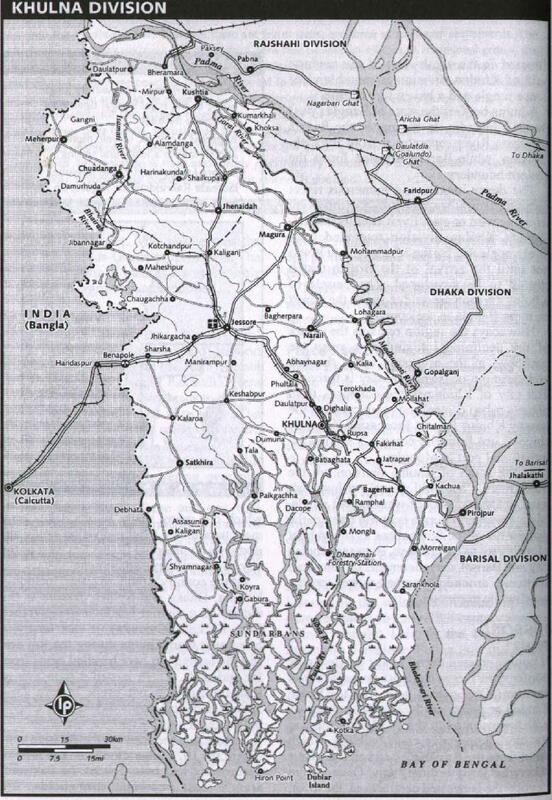 primarily from Jessore, Khulna and Gopalganj. 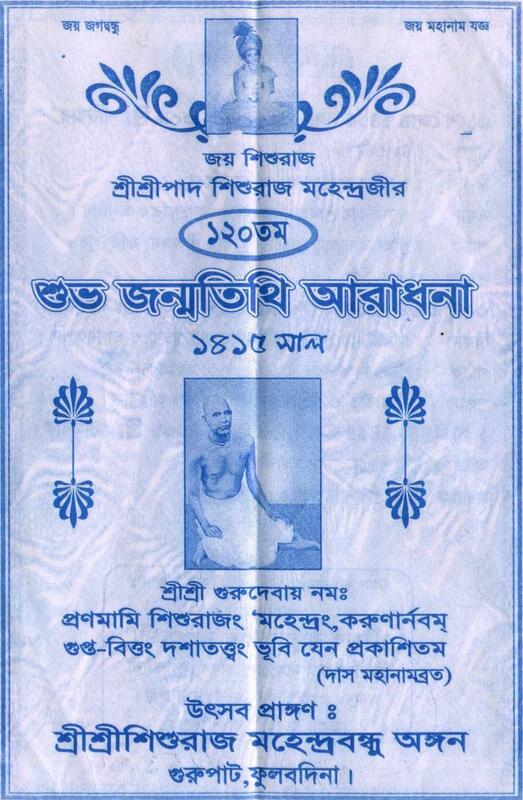 Writer: ManojBikash DebRoy, Sylhet, Bangladesh, Pages 21-23.